We’re all faced with setbacks in our personal and professional lives. How do we overcome these and turn those lessons in to great successes? Jason Caldwell is a world-class athlete, a trainer in leadership and high-performance, and keynote speaker. 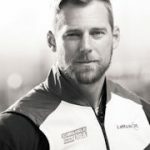 In 2015 Jason went on to captain and represent the United States in a rowing race over 3,000 miles across the Atlantic Ocean (Taliskerwhiskyatlanticchallenge.com). On January 19th 2017 Jason and his crew crossed the finish line once again, not only winning the race, but breaking the World Record as the fastest team to ever row across the Atlantic Ocean. During this show we are going to be discussing lessons from Jason’s latest adventure and second world record set this year while crossing the Namibian desert unassisted. Join us this Friday to hear Jason’s amazing story, and how learning from your failures can help you to come back stronger and even more resilient than before! Jason Caldwell is a world-class athlete, a trainer in leadership and high-performance, and keynote speaker. Jason rowed and received his bachelors degree in business from Sonoma State University. Upon graduation he was invited to row for Vesper Boat Club’s elite rowing team in Philadelphia where he won two gold medals, one silver, and one bronze at the National Championships over three years. In 2015 Jason captained and represented the USA in a rowing race 3,000 miles across the Atlantic Ocean (Taliskerwhiskyatlanticchallenge.com). On January 19th 2017 Jason and his crew crossed the finish line once again, not only winning the race, but breaking the World Record as the fastest team to ever row across the Atlantic Ocean. His next world record set in 2018 involved the longest crossing of the Namibian desert unassisted. Jason is the President and Owner of Latitude 35 Leadership, which uses experiential training to explore the finer art of leading and maintaining high performance teams.